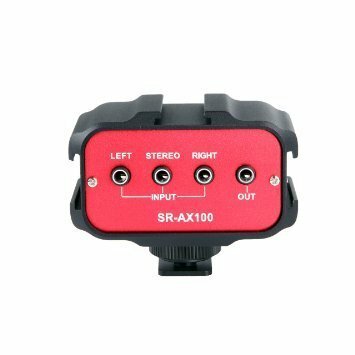 This adapter provides you with a compact dual-mic mounting and audio mixing solution, which allows you to easily mount and control two microphones or wireless receivers. Passive Operation Requires No Batteries!!!! Compact Shape With Die-cast Aluminum Chassis! !